You can make a day trip to Ensenada fairly easily, especially if you have your passport handy and your Mexico insurance online documents in your vehicle. During whale season, you might want to travel down for a couple of days so that you can take a whale tour early in the day and enjoy local foods and activities after. Long-term Mexican car insurance is a top option for traveling at will throughout the season. 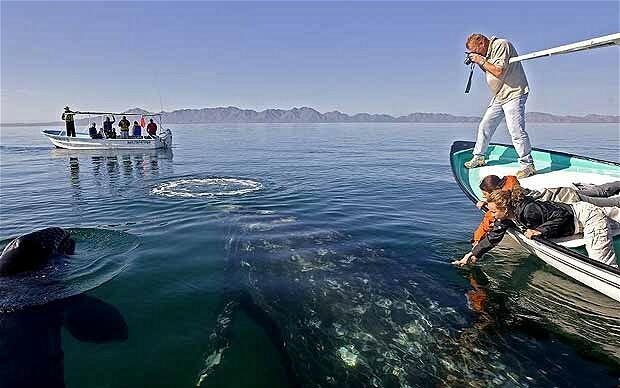 The consensus throughout the Baja community is that the optimum time to see whales during their annual migration is from mid-January to mid-March. There is a chance of sightings beginning in mid-December, and the end-of-season phase begins in mid-March, continuing into April. If you are going to invest in an Ensenada outing, consider the early part of the prime viewing season as the top time for catching a view. As the whales make their way to the southern tip of Baja, viewing opportunities in Ensenada may taper off a bit. However, the end-of-season period is a great time to observe mothers and babies traveling north together. This is also a nice time to think about finding a great beach and watching for a few hours. Whales have been sighted along the beaches in San Quintín, for example, which offers you a more affordable viewing possibility. The only major investment is time as you would need to drive about three hours further south. Road trip advice: Mexico insurance online is required, so pick up Mexican car insurance before leaving! What are the best options for Mexico insurance online? If you will visit the Ensenada community frequently during the year, long-term Mexican car insurance is ideal. This coverage will ensure that you are covered and that your damages will be handled in case of an accident. Your Mexico insurance online also includes top solutions for roadside emergencies, allowing you to be towed to a nearby mechanic if you break down while trying to reach your destination. You might need to review your Mexican car insurance if you decide to head further south to see whale migration activity, since the liability requirements of your policy are significantly higher for driving in Baja Sur. Mexico insurance online from Mexican Insurance Store includes the best Roadside Assistance for peace of mind! We’re having this first vacation in Mexico. Some of our friends said that we must go whale watching. What can we expect more from this activity? Depending on what place you want to go in Mexico, you can be excited to see a close-up view of whales, and probably to experience a hands-on encounter with them. It’s great to see real whales! Dont forget Mexico insurance.